It’s always been common for things to be taken out of context and sensationalized in the media, but with the internet, it just happens even faster. Sometimes people end up getting their hopes up from a comment made in passing and it turns out to be a big deal when it was never intended to. Thankfully, Rob Zombie has always been one to make sure his comments are never taken out of context if he can help it. The musician/director will be the first one to tell you when a statement about him is bogus. Case in point: it’s been circulating around the internet that Zombie is interested in rebooting Universal’s The Creature from the Black Lagoon. And it’s been spreading like wildfire. 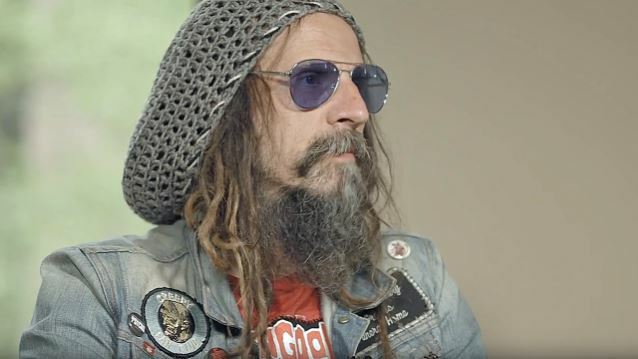 The thing is, Rob Zombie never said he wanted to do it – not exactly, anyway. One thing I always thought was possible was to remake Creature from the Black Lagoon because the creature itself, in that phenomenal suit they constructed, could be exactly the same. So I think Creature from the Black Lagoon could be a cool one. The original comment, though now unintentional, did indeed seem to point towards Zombie having an interest in remaking it. Thankfully, his clarification can help people not to get their hopes up and to move on from this idea that the director clearly has no interest in bringing to life. However, a follow-up to The Devil’s Rejects has recently been completed filming, titled 3 From Hell. And that is not fake news! Previous articleBlumhouse Gives Us a Sneak Peek at the Halloween Trailer!